Are you currently a Georgia Pre-K teacher who spends lots of undocumented hours gathering assessment data and entering it into WSO? I thought so…If you thought heck yeah, this post is for you! After six years of training GA Pre-K teachers under GSU’s training department, I have made some observations myself and collected some data. I’ve encountered lead and assistant teachers who get overwhelmed with keeping track of all of the assessment indicators in the Preschool 4 Developmental Guidelines. I’ve witnessed an alarming amount of teachers who lack an organized system for assessing their children and keeping up with it in a manageable way. I’ve also noticed a need for teachers to discover tricks that make collecting and inputing data more efficient. 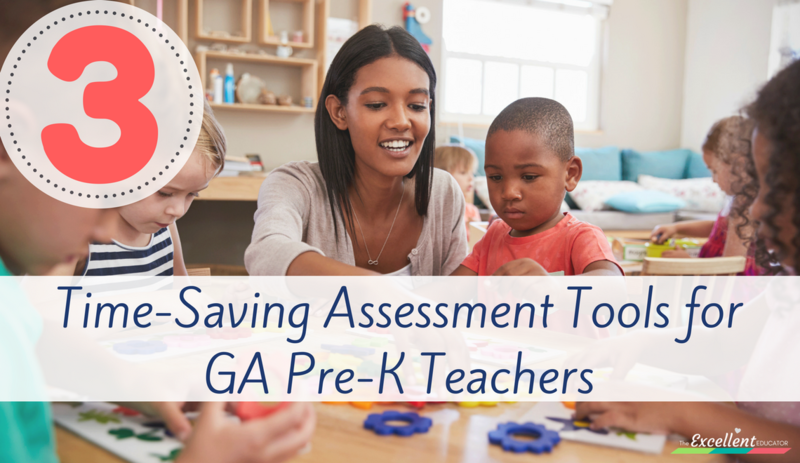 In order to address each of these immediate needs I have three time saving assessment tools that will be beneficial for all the hardworking GA-Pre-K teachers! As you know, there are 7 assessment domains and 73 individual indicators total that you have to collect evidence on and rate the children on. The most accurate way to observe and collect documentation/evidence is to know the indicators well. The indicators can be found in the Preschool-4 Developmental Guidelines (P-4 Booklet) found within your WSO account. 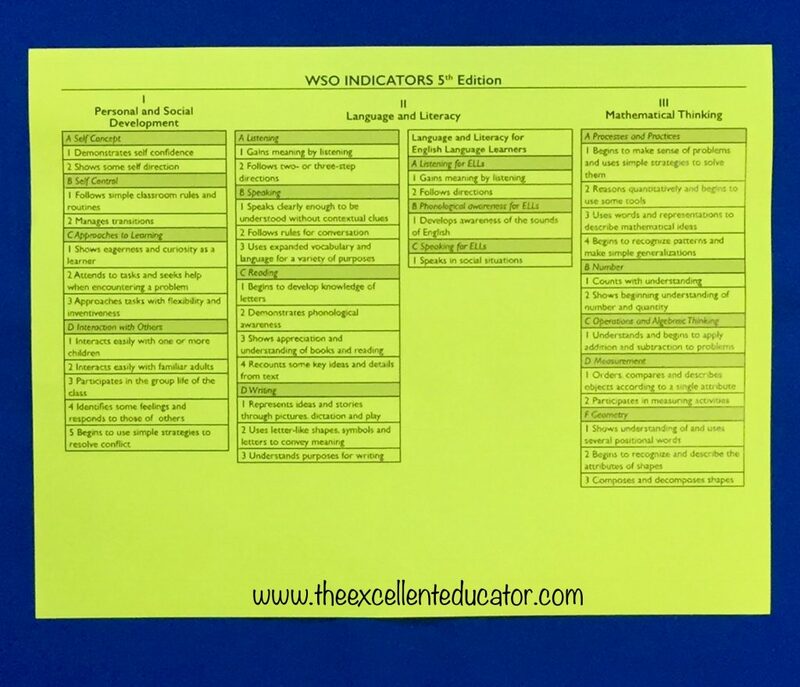 It is best to familiarize yourself with the indicators as well as the rationales that tell what the indicators mean, because if you don’t, you could very well end up recoding observations that don’t need to be assessed and documented for Pre-K. I know you’re probably thinking, “Who has time to read that book with everything else on my plate? !” I understand completely, but taking a little time on the front end to learn those indicators will make your observations much more effective and on target! *Please note these tools are suggestions and are not required. The ideas shared are not endorsed by BFTS or GSU. 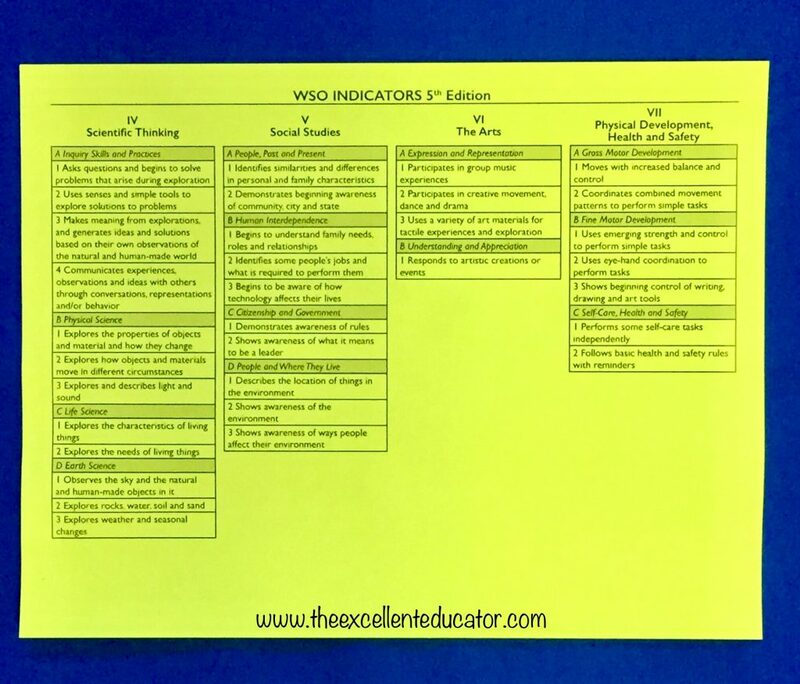 Once you get familiar with the P-4 booklet and it’s contents, having a quick one page indicator sheet could be helpful for you and your co-teacher to glance at, as a reminder for what to plan to assess and what skills and behaviors might be relevant to document for assessment. That is exactly what the Work Sampling Indicator Sheet above is for. This sheet is a one page document copied front to back that includes all the 7 assessment domains and the indicators for each. This indicator sheet is not created to replace the usage of the P-4 Booklet but instead, it is designed to compliment it and have handy for you and your co-teacher to refer to. Observational notes are a huge part of GA Pre-K assessment. There are various ways to take notes and everyone has their own preference. Some teachers use a notebook, some use sticky notes and most teachers will use whatever they can find in the moment! (Yes, I know the struggle gets real!) 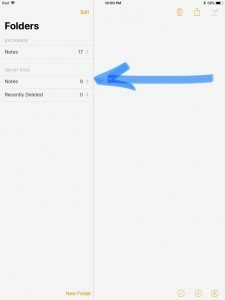 One way to keep your notes organized and easily viewable is to use a notes grid. 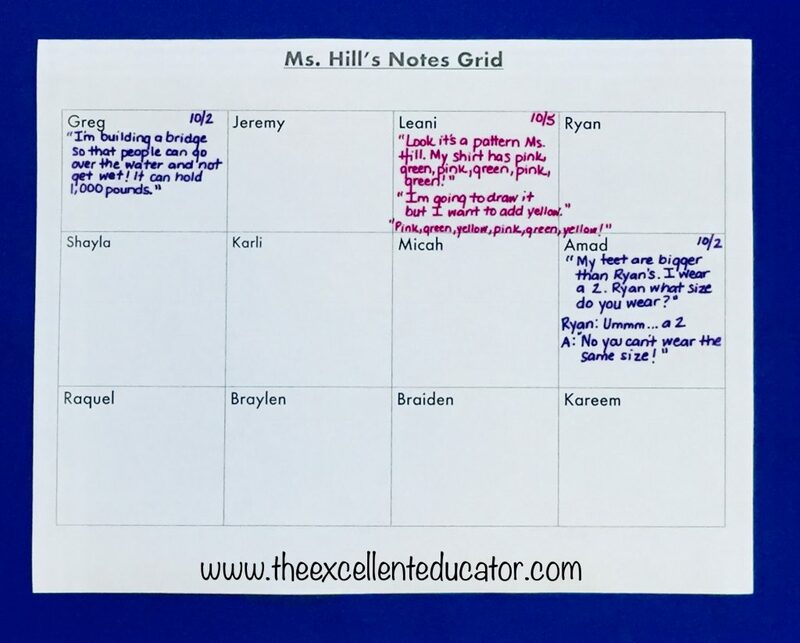 This grid can be used for capturing responses to a story or for keeping track of notes for the week. This type of notes grid makes for easy storage in a folder and easy management to upload in WSO. I created two versions so you can choose which one you like the best. The template is editable so feel free to adapt it to fit your needs! Once you download this notes grid in Word, double click the header that says “Ms. Hill’s Notes Grid” and type your name in this section. Then, double click the word “Name” in each box and type your students names in each one. 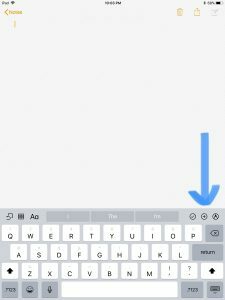 You can also delete the “Name” and print blank squares if you choose. Once you have the document the way want it, go to file>save as to save it, then file>print. 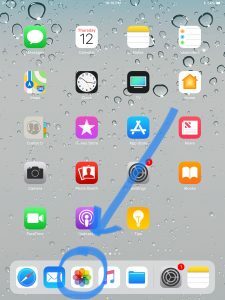 Once you download this notes grid in PowerPoint, double click the header that says “Pre-K Notes Grid” and type your name or whatever title you’d like to add in this section. Then, double click the word “Name” in each box and type your students names in each one. You can also delete the “Name” and print blank squares if you choose. Once you have the document the way want it, go to file>save as to save it, then file>print. To save a document as a PDF go to file>save as>file formats>PDF. 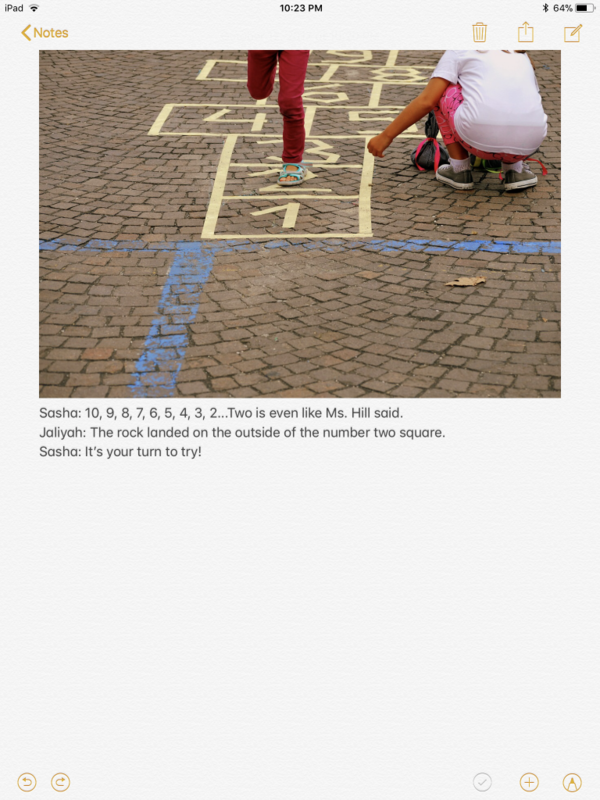 Do you have an iPad or an iPhone available to use in the classroom? 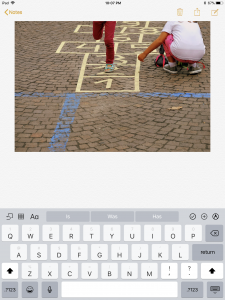 Did you know that can now add photos and attachments to your note on an iPad, iPhone or iPod? You may be thinking so how does that benefit me and assessment? Let me tell you and show you how! 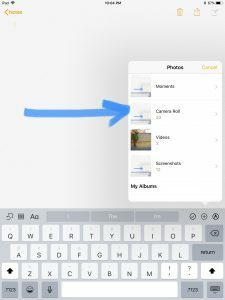 Instead of taking a picture and uploading it to WSO, then writing the dictation on paper and eventually typing it into the description box in WSO, you can use this quick tip. You can now add a picture into a note on your iPad/iPhone and then type the dictation below it to upload it to WSO in one piece without having to retype anything! Take a look at how to do it. 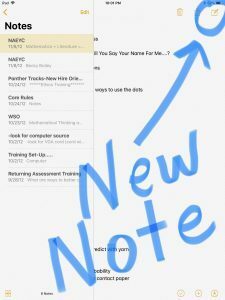 Select iPad Notes (left ) and open a new note (right). 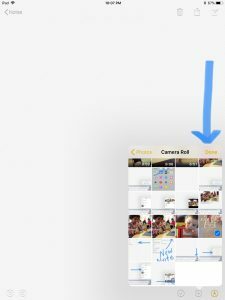 Click the plus symbol (left) and select the photo library (right) to select your photo. 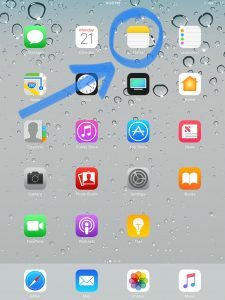 Choose the folder that the photo is in and select the photo. Select “Done” (left) and the picture will be inserted in the note (right). 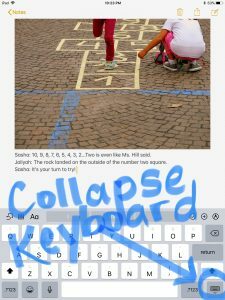 Touch the screen below the picture and begin to type the student’s dictation that goes with the photo then collapse the key board (right). 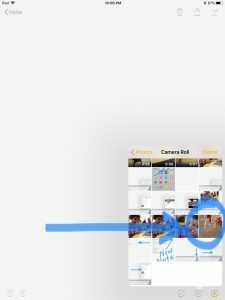 The final step is to screenshot the note (hold down the home button and the top power button at the same time) then go to your photos. 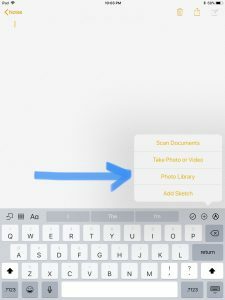 You will see your picture embedded in your note allowing you to upload it as an attachment in WSO and not have to retype the dictation that is below your picture! In the description box in WSO simply type – See Attachment or See Photo. Do you think these three tools will be useful? 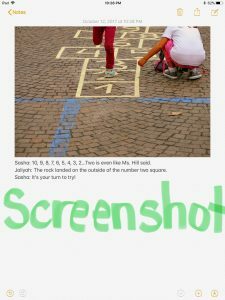 Please share this post with other Pre-K teachers and post it in your online Pre-K community groups so as many people as possible can use these tools to include in their assessment system. Do you have a tool or a system that works well for you for assessment. I’d love to hear about that too and even feature you and your idea to benefit others just like you! Are there other things that you would like support on around GA Pre-K assessment? Leave a comment below so I can support you around those specific needs! Where were you 10 years ago? This would have been awesome to have, instead of those many hours of writing forms. Continue pouring into these teachers. They need you. You are the bomb dot com Kara!!!!! Awww! Thanks Gloria! I’m glad the posts are relevant! Thanks Ms. Hill for guiding me and motivating me to use my gifts to serve others! That’s my girl! Great trainer. I learned quite a bit and I’ve been teaching for 20 years. She’s so awesome. Great job, Shakara! Keep it up. I’m so proud of you! This is great! I attended the “Second Year Survivors” training 12/5 & 12/6 and it was AWESOME! I teach in a Partnership (Head Start/GA Pre-K) classroom. I would really like to see some of these same type resources formatted with the Head Start 4 guidelines. (A girl can dream…lol) You are fabulous. Please let me know when you are hosting other trainings. Thanks Denise for your feedback and such kind words! So glad you liked my training and the resources here! I will keep the Head Start request in mind. Sometimes dreams come true! 🙂 Please be sure to subscribe to the blog. I will post my private trainings on here when I have them, but I always give my subscribers VIP information and goodies! Thanks again! See you soon! Do you have a pre-made matrix for WSO? I do. I’ve been creating them and uploading them on the posts that have games and activities. If you search for my most recent post on Subitizing in Pre-K and Kindergarten, you will see one of my pre-made, editable templates that you can download!